This is a sponsored post written by me on behalf of Tyson Foods, Inc. All opinions are entirely my own. Please see my disclosure policy. With all those mouths to feed, it’s hard to find a recipe that fits everyone. One kid always wants sweet foods. Another likes foods crunchy and salty. And the hubs wants dinner to be savory and filling. 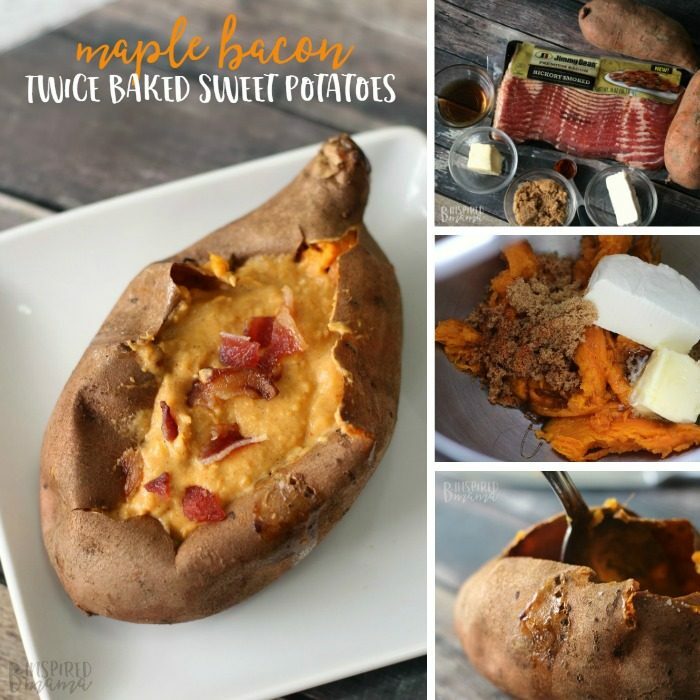 Maple, Bacon, and Sweet Potatoes! If you haven’t noticed yet, Jimmy Dean® now offers premium bacon. 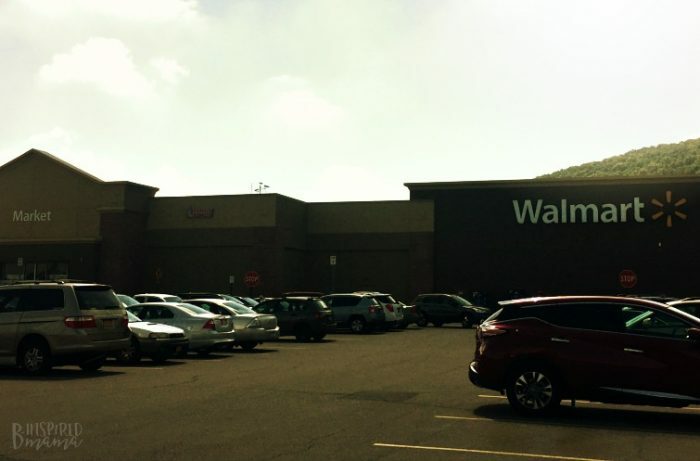 I picked up some Jimmy Dean® Hickory Smoked Bacon at my local Walmart to try out. 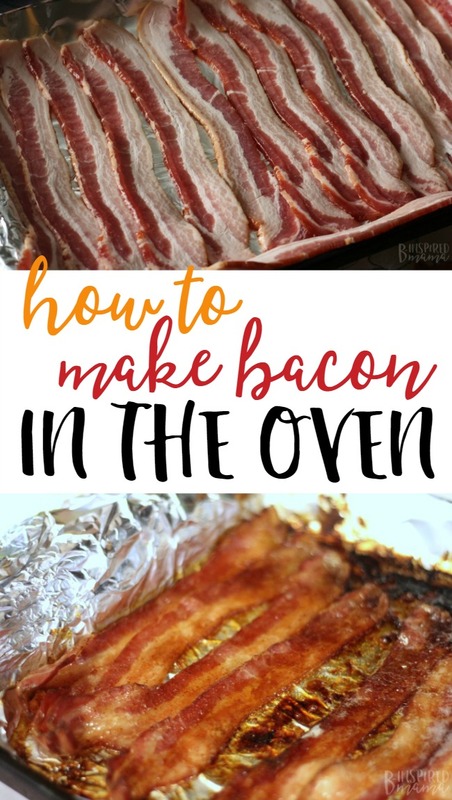 But the Applewood Smoked Bacon would work for this recipe, too. 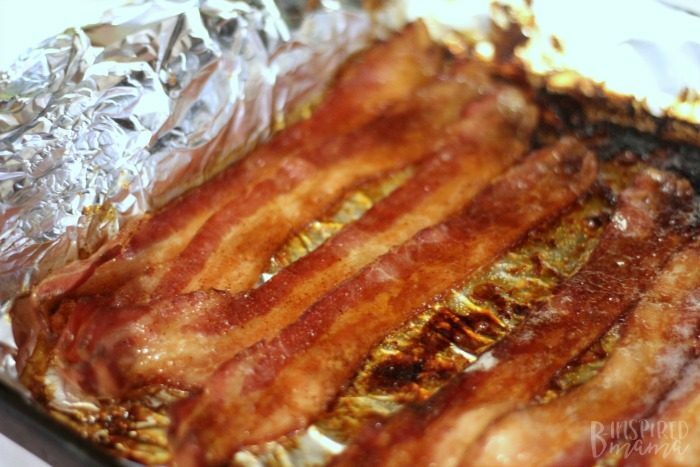 I always cook bacon in the oven. It’s way easier than standing over a hot pan and less messy, too. 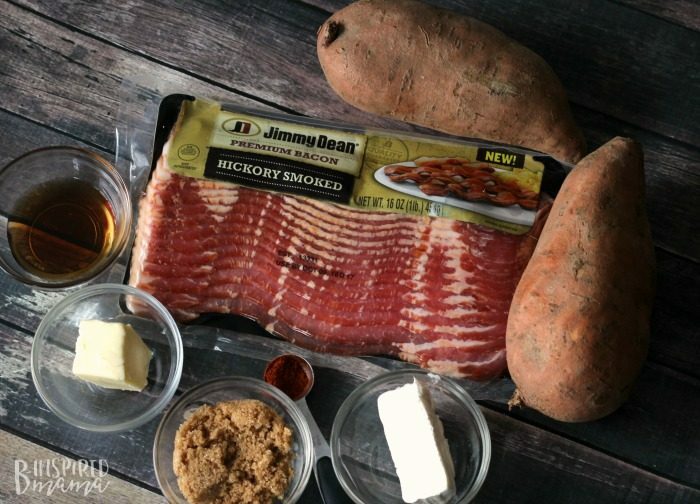 Of course, the Jimmy Dean® Hickory Smoked Bacon and Applewood Smoked Bacon are flavorful as-is, but I added some brown sugar and cayenne pepper to it before baking to make it sweet for this sweet potato recipe. 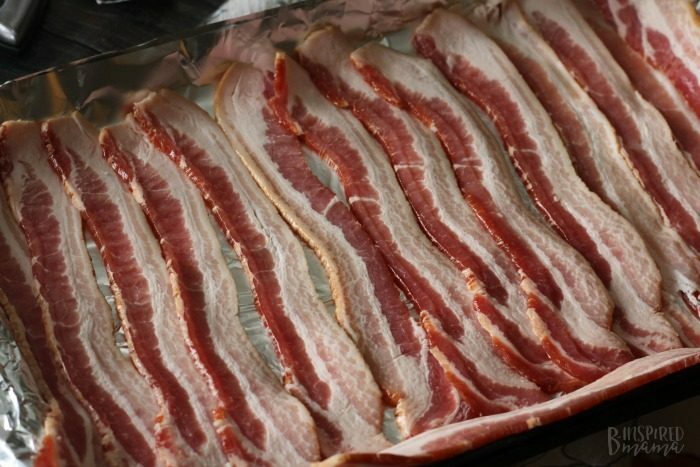 Lay bacon out flat on your prepared pan. 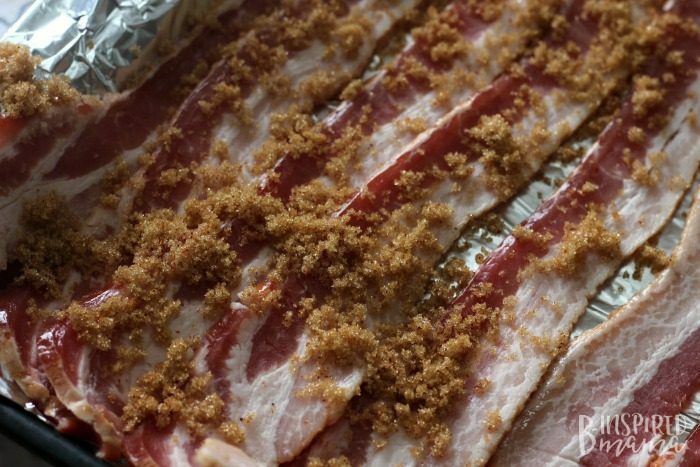 Combine brown sugar and cayenne pepper, then sprinkle about half the mixture over the bacon. Bake for 20 minutes in a 400℉ oven. Do not preheat the oven first. 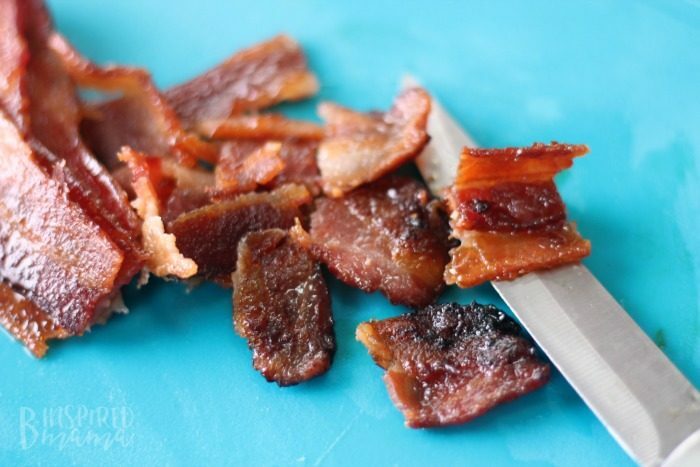 After bacon is done and cooled a bit, remove from the pan, and chop bacon into small bite size pieces. 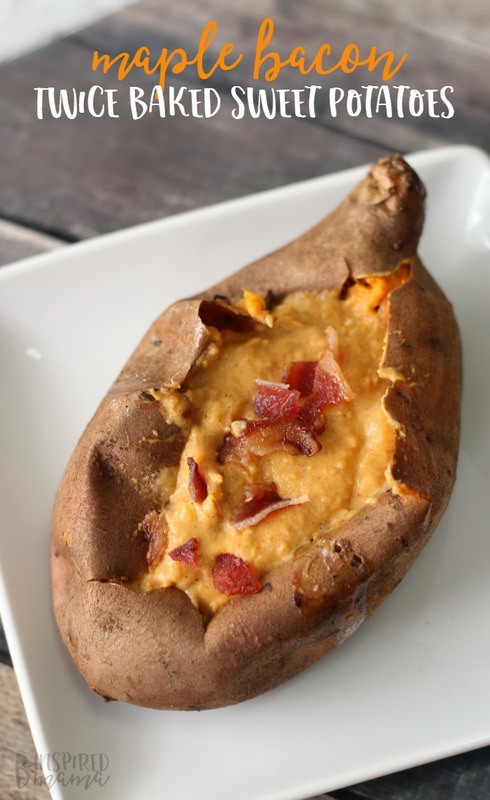 Now, on to the twice baked sweet potatoes. 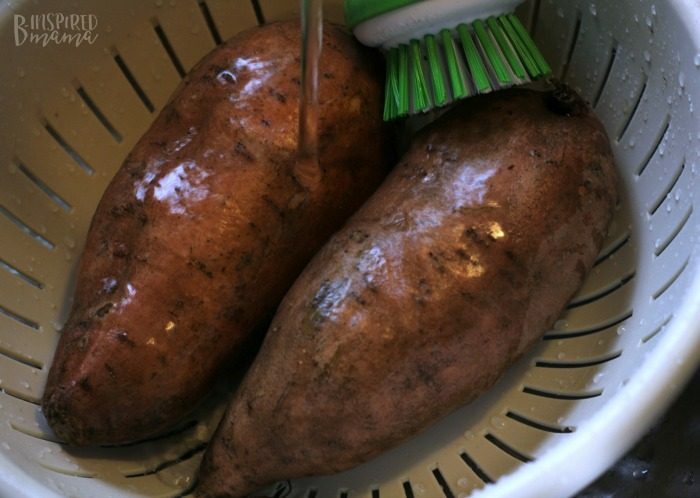 Scrub potatoes well with a produce brush, wipe dry. Coat potatoes in olive oil or coconut oil and sprinkle lightly with coarse sea salt. Bake for 1 hour right on oven rack or on a baking sheet. 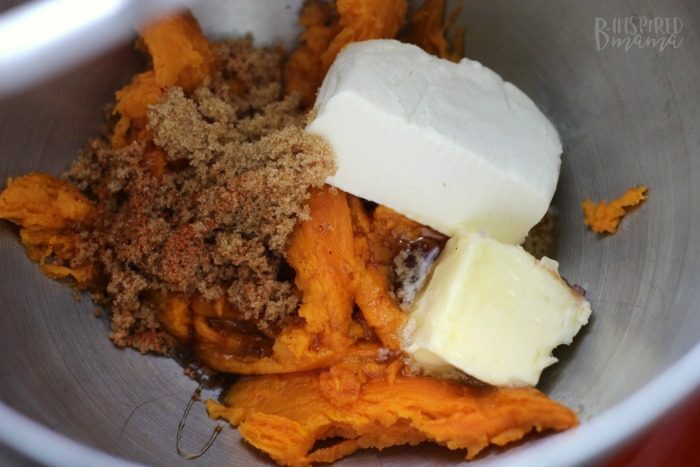 Remove sweet potatoes from oven, and allow to cool until they can be handled. Cut a slit into each potato, 1” away from one end to 1” away from the other. Squeeze ends toward the center a bit to open up potatoes. 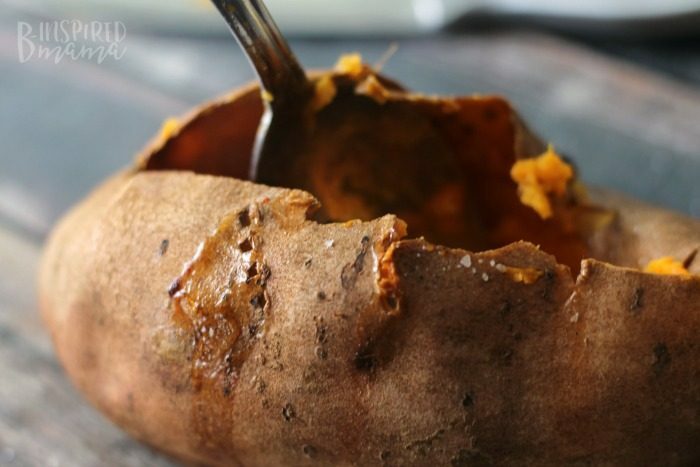 Use a spoon to carefully remove the soft potato inside each potato. Make sure to leave about a ½” of potato inside, though, so the potato skins stay together. Add soft potato “insides”, cream cheese, butter, maple syrup, and the remaining brown sugar/cayenne pepper mixture to a bowl and mix. An electric mixer or stand-mixer will whip it up nice, but a handheld potato masher could do the trick, too. 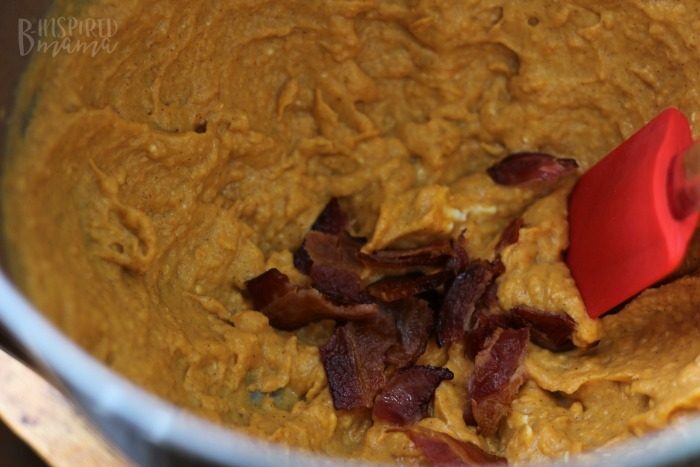 Set a 1/2 cup or so of the chopped bacon aside to sprinkle on the top, then mix the rest of the #JimmyDeanBacon into the whipped sweet potato mixture with a spatula. Fill each potato “shell” back up with some of the whipped potato mixture, then sprinkle with a bit more coarse sea salt. Sprinkle top with additional chopped bacon, before you serve and enjoy! 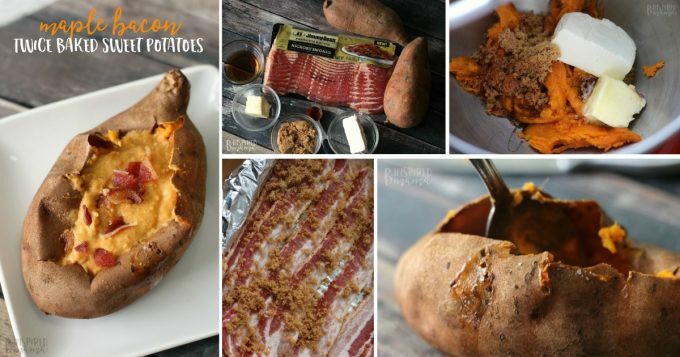 I’m not all that in to sweet potatoes, but I’m certainly going to try the candy bacon. Oh my word! How have I never thought to add brown sugar while cooking?!? Looks damn tasty! Whoa this looks awesome, must try it!